Since launching in 2013 we have worked with hundreds of Food & Beverage professionals from all over the world helping them cut food waste in half while saving them time and resources. They have the incredibly important role of linking both the kitchen and front of house, to make sure industry’s safety standards are met, while customers get products that meet or exceed their expectations. We had the pleasure to interview Aaron Ashley Apew, F&B Manager at Hotel Scandic Fornebu, to learn more about his journey, inspirations, and challenges. Where did your hospitality career begin? My hospitality career began as many others, in a dark dishwashing corner somewhere in the south of England. But since then I have been lucky enough to have travelled Europe with my career, and have even worked among several Bocuse d’Or winners along the way. So, my hospitality career really began after moving to Norway and joining Scandic because this is where I learned the discipline and respect which I find so inspiring. The best part of my job is the social interaction with our guests and working as part of an international team. I also enjoy the variety and scale of the work. Every day is different. What is the most unusual food service/catering request you have ever received? I can’t recall of one request, in particular.This is probably because the modern F&B industry has become so inclusive, and Scandic particularly, has made unusual requests and inclusive concepts the backbone of its new concepts. How do you ensure the dining experience remains relevant for your guests and that you also surprise them – in a good way? At Scandic we are actively seeking new ways to exceed our guests expectations. The first lesson is to know your guests: How many? Who? Where are they from? Then prepare accordingly. Specific groups of people have specific requirements and it’s our job to know what they are. Scandic Hotels is conscious of its role in shaping a sustainable future. Do you have any new initiatives in your kitchen? In a streamlined business environment, growth and development are critically important. But, how can we secure the continual growth and development of our results in a dynamic and fluctuating environment? At Scandic we believe the answer is to think differently, and to challenge all aspects of our business. Including what we throw away at the end. In fact, the only constant in our industry is the waste that we produce. Our results are directly linked to the cultures we have in our department and how we communicate these with our guests. We want to inspire an initiative of change, by mastering our food waste. We believe the only way to do this is to know where it comes from. Traceability of our waste means that we can track, measure and develop dynamic tactics to reduce it. What was the immediate impact when you first had the Winnow System installed? The primary challenge in mastering our waste results is developing engagement and inspiring empowerment. Our solution to this has been in our understanding that the big picture can be overwhelming. So normally, we systematically break it down and give everyone a little piece. We try to involve everyone because involvement creates engagement and engagement creates results. We give clear and direct instructions and targets, and we believe in having clear and direct expectations also. If expectations are clear then we as individuals can make our own decisions on how to best navigate these expectations. And most importantly we can believe in them too. What are some of the interesting feedback you have been receiving from chefs and the kitchen team? Give the people what they want and don’t take any shortcuts when it comes to preparation. Mastering our waste means that we can spend more time on producing better food. It’s about focusing on quality! What initiatives have you implemented based on the data from Winnow’s reporting? Giving 100% responsibility allows our team to take 100% ownership of their results. We have used a daily briefing system to help establish trust and collaboration in the kitchen environment by reviewing the previous days results and discussing any potential tactics or actions we can take to further develop our results. This exchange of information has been vital to our success as it allows us to maintain clear expectations and to make a plan together. We have a shared ownership and pride of the development of our results and everyone has the ability to influence change. We have been able to inspire a culture of engagement by being able to translate why to the different members of our team and by delegating responsibility throughout our organization. What’s the biggest challenge for those wanting to make a difference through technology within their operations? The most significant benefits of the Winnow system have been knowing where our waste comes from, and how much it is worth. So, understanding that there is no negative to having this transparency in your results, and embracing the modern tools that we have available to really create results and push our industry forward together. Winnow allows us to benchmark and trace our progress and share best practices with our other Scandic hotels on an international level. 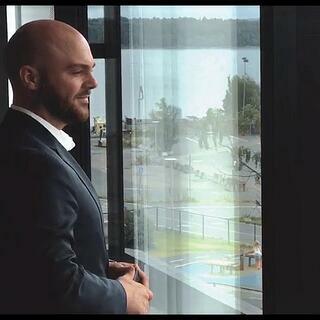 How do you see the Scandinavian hospitality industry changing in the next five years? The next major challenge is to take advantage of our guest communication. For us to achieve the next layer of results we need to get our guests on board. Plate waste accounts for a very high proportion of our waste and our next project is to challenge our guests to help us reduce this, through provocative modes of communication. I believe we can afford to be really bold and creative doing this, and really challenge our guests to get involved. We just have to do it together. 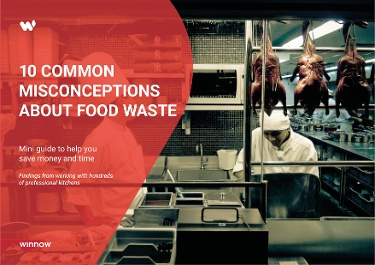 What’s your piece of advice to F&B managers looking to reduce food waste? Some of the most significant changes coming to the F&B industry are related to waste, and we all have an obligation to take our role in this seriously. Whatever your motivation might be, waste is serious. Start now. Mastering food waste only has positive consequences.